In recent years, South Tulsa has become a very popular shopping and dining location. The wide variety of unique services and retail outlets found in the area have made it a very attractive location for a wide variety of event types including weddings, corporate events and birthday parties. 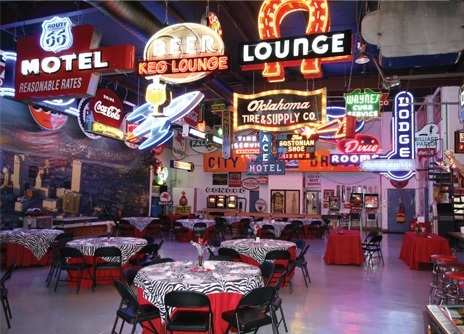 As a premier event center in South Tulsa, STOKELY is ready to meet the needs of your event! The unique location of our event center provides access to a wide variety of lodging options within a very reasonable distance. This is an important aspect for events such as family reunions, school reunions, weddings or other events that will potentially require overnight lodging for individuals that come in from out of town. If you need an event center in South Tulsa or Broken Arrow that provides access to lodging in close proximity, STOKELY can help! Stokely Event Center is visible from highway 169 and highway 51 and the easy access to and from our event center via these important roadways makes STOKELY a premier event destination in South Tulsa. If you have been to South Tulsa, you likely have been stuck in Memorial traffic at least once in your life. Our central location can help limit the time you are stuck in traffic. We take pride in being able to provide affordable venue services with a quality, unique event center in South Tulsa and Broken Arrow. With the costs of modern weddings skyrocketing, our wedding venue is becoming increasingly more popular among budget conscious couples. If you need a venue for your upcoming event, we would love to talk to you about making it an affordable STOKELY experience!